The Totowa Drive-In was located on the east-bound lanes of Route 46. It operated from 1951 to the late-1970’s. The current site is still unoccupied, and the property next to it is occupied by Bob’s discount furniture. and the first 7 or 8 theaters in the Comments column have new ads posted. I also recently posted some for the Lafayette in Suffern and the Fox and the Oritani in Hackensack that you might not have seen. Bill, I also have work to do which unfortunately keeps me off the site for hours at a time. So someone might post a cool ad and by the time I get back to the site, it’s off the recent comment listing. And another thing is my company’s firewall prevents me from viewing these ads at work. I have to write down where they’ve been posted and take a look when I get home. What’s so cool is that the people posting these ads are doing them for the places I grew up with on Long Island AND where I now live (northern NJ). I get the best of both. Another thing I find interesting about the ads, especially from the late 60s, is that they do not look very different from the ads I grew up with in the 70s. It appears that back in the 50s, the theaters were divided up by the owner of the circuit: Brandt, Century, etc. 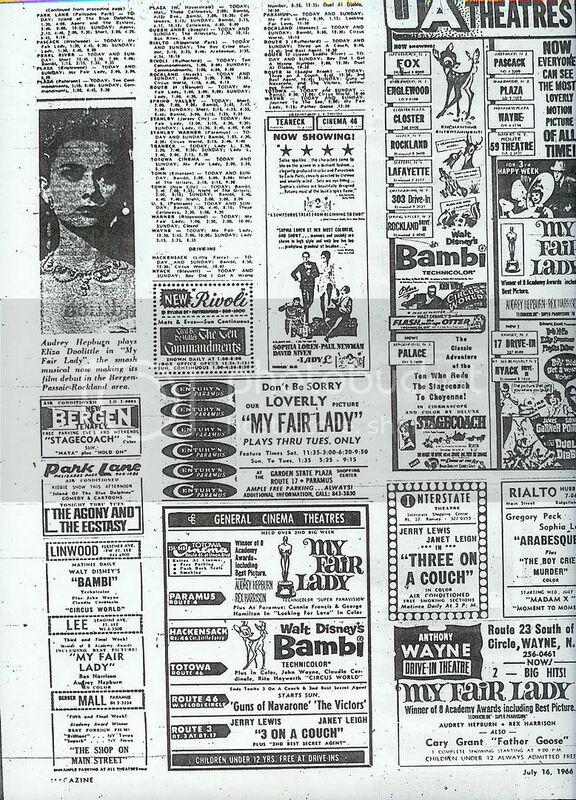 Then, around the mid 60s, it looks like that changed to simply listing the theater by location. The latter option obviously makes more sense, at least to me. There’s real showmanship on display in these ads. Look how many things are happening on any one of these pages: Free Coffee Served, Free Color TV Lounge, Ladies' Night, Guys' Night Out, Children Under 12 Free, etc. Compare it to today, when you’re lucky just to be able to see a halfway-decent movie. 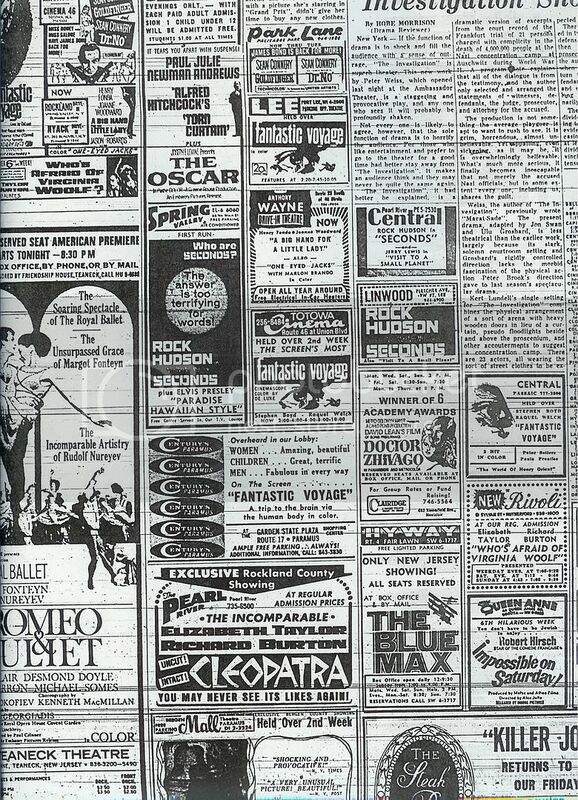 I too enjoy seeing the old newspaper ads, and am in agreement regarding the inability to keep track of recent postings made to existing theater entries. In fact, a couple of weeks ago I emailed the site editors the suggestion of adding a “more comments” link underneath the ten theaters on display in the margin (New Theaters and Updated Theaters have this option, so why not the Recent Comments, especially since the Recent Comments is the most popular of those three categories). This way, a longer list can be viewed which is helpful to those of us who do not live on the site 24/7. One visit a day or even every now and then would provide an opportunity to see what recent comments have been made. The way it is set up now, once a theater’s latest comment becomes the eleventh most recent comment, you’re out of luck. A couple ways of getting around this: (1) select the email option so that when someone replies you’ll know about it (this applies only to those threads in which you contributed), and (2) go to your own profile (or someone elses) and click the theaters listed in an attempt to see if any new posts have been made. Re the newspaper ads… Between Bill Kallay and myself we have hundreds of these things, some simply for our collection and most because of some particular form of research. I find it better to make a photocopy rather than simply taking hand-written notes while the microfilm is loaded (though this method is more expensive and results in a space and filing issue). 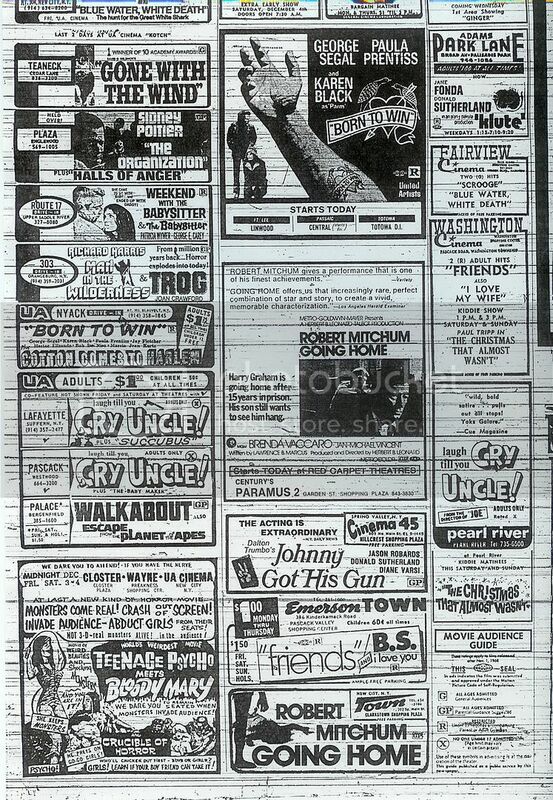 We have ads for every advertised 70mm release over the past 50 years for the New York and Los Angeles regions plus many ads from other special process and roadshow type films and lots of theater grand openings (and scattered ads from other regions). Michael: I for one would love to see them, especially the Los Angeles ones which I’ve never seen. Thanks! Approx. address for this drive-in was 244 U.S. 46. Part of the drive-in is occupied by Hoffman La Roche Printing.